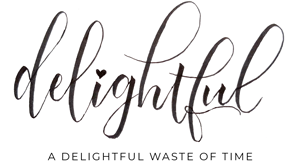 I am so excited to bring you my first post as a Design Team Member for the Flourishes Beautiful World Tour! Thank you so much to all of you for your sweet comments on my post yesterday. Your support and encouragement are everything to me; I don’t think I can properly express how grateful I am for each and every one of you! You should have arrived here from Kathy’s blog, but you can always check back at the Flourishes blog for a full list. This is our first Tour, and for those of you who have followed Flourishes previously, you know that the first Monday of the month used to bring a new Bring Back Beautiful Challenge. As we celebrate Flourishes’ 5th Birthday, there have been some changes, and one of those is this team. Rather than being a challenge team, a few new designers were added, and now, each month you can travel the globe with us and be inspired by talent from all over the world! The team includes designers from Australia, the United States, Canada, Finland, England and Germany. 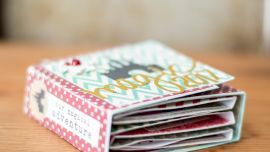 Each month, one of us will be hosting the hop on the Flourishes blog, sharing our creation, maybe something about our country, and then we will send you on your way to Hop the world! Of course, there is something in it for you as well! 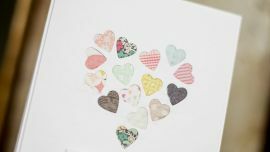 Instead of being challenged to play along with us, all you have to do is hop along and leave a comment on our blogs for your chance to *WIN* a free stamp set from Flourishes! You never know which country will be chosen to draw from, so make sure you comment on all the designers’ blogs by August 31st for your chance to win! Adele covered the Bob Dylan song “Make You Feel My Love” on her first album, and I just *love* it. It was running through my head while I was trying to fall asleep, and this line jumped out at me – a colour theme for my card! That song makes me melt, and I love your twist on the 'black & blue' color combo!! Simply beautiful Meredith! Love the rich blues, and the banner shaped tag, a really pretty card! Beautiful card, Meredith! Love your lace and the ribbons! Your blueberries are yummy! Here in Finland you can find a lot of these in the forest! This is fantastic and so beautifully detailed, Meredith! Leave it to a crafter to garnish inspiration from adversity! Love the song inspiration story. You definitely earned a cookie for enduring hardship. Awesome crafting results, though! Looking forward to working with you! Love the story behind the card. Your coloring is beautiful! Love your card. Thanks so much for sharing. Nothing like inspiration on a rainy night! Lovely card and congrats on your new DT position. Those blueberries look good enough to eat. What a lovely card. Of course, blue is one of my most favourite colours. Well done! Oh how pretty! Love your song inspiration too! I tend to "think" when it's time to sleep too… but good thoughts are wonderful thoughts! Love what you came up with with your song inspired color combo! Such a pretty card Meredith! I come from blueberry country in Maine, so I really love the blueberries! The background of your card reminds me of denim, and the touch of lace looks really pretty with it. Your blueberries are so beautiful! It's amazing sometime where we get out inspiration. I always have a note book by my bed and write in the dark my thoughts, sometime I write over the top of one another and then the next day have to try to figure out what I was trying to write. Oh well! Your blueberries look very real and are now ready to pick here. Well done. This is beautiful! I love how you've colored the blueberries, and that denim paper, cotton lace, and distressed layer all go together wonderfully to create a lovely card. This is lovely, Meredith! It's a great card design and the colours are stunning. First time on your blog and was totally blown away with this fabulous card, such gorgeous stamping and colours and perfect design. Am off to visit the other ladies now so good luck with this new project, looks like fun. Great card and it was nice to read how you came to this card. Oh wow that vibrant blue sure stands out against your navy and cream background. Gorgeous colouring. Beautiful Meredith! Love the blues, and the banner shaped tag, a really pretty card! Great card – love the blueberries!!! Yummylicious berries! Love that simple color palette – makes for a truly elegant card. Thanks for sharing. And congrats on being picked to join an uber-talented team. Loved hearing how you find your song inspiration. The card that resulted is beautiful. The colors and coloring are great! 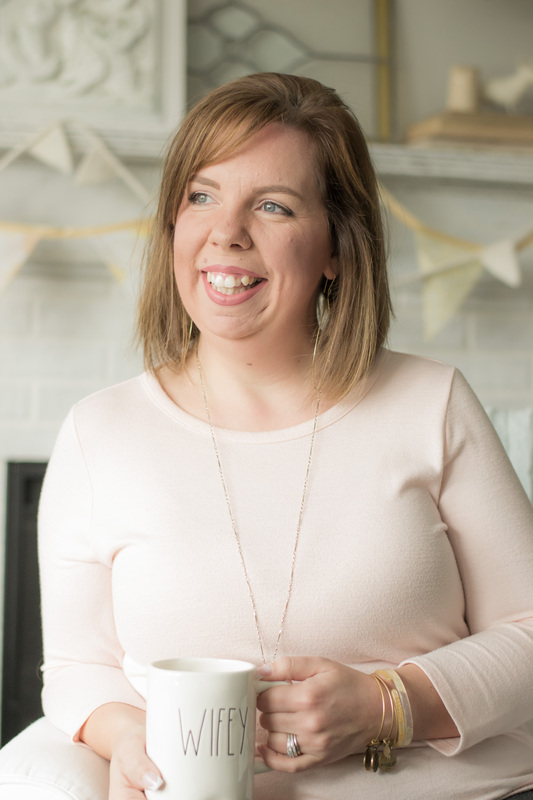 Congratulations Meredith on being selected as a member of the Flourishes team! Love your pretty card with it's monochromatic colour scheme. Beautiful card! And welcome to the design team. Wonderful colors. Makes the blueberries pop right off the card. Yum! Beautiful card…looooove the denim look and the kraft tag with such pretty colouring. What a great story and funny to boot! Love the take on the song. Simply beautiful, Meredith. Congrats on your new worls journey. Your colouring is wonderful. Love the tag shape. Cheers. Great take on the song….very pretty card…love the background, too!! How beautiful! Blueberries are ripening now and I picked a quart of them yesterday. But, you probably already know that as my neighbor to the North. Wow…you made the blueberrries look very realistic. Great card! Oh I love this card! Fabulous colors and design! Oh, I'm finally here! Hope you didn't think I had forgotten you! (NEVER!! It just takes me awhile to travel the globe!) I LOVE your card and I have always loved how you take these more traditional images from Flourishes and keep them fresh and trendy! Your tag treatment, the pop of that beautiful blue, the trim, and distressed edges do just that, once again!! So proud of you, my dear friend…and I'm enjoying the hop, too!! Love your card, love the image and love the story. It brings back fond memories of camping with our two girls many years ago… sweet are the memories. The blueberries look good enough to eat and the rich blue reminds me of days outside in the summer sun. Your card is amazing, I love it. 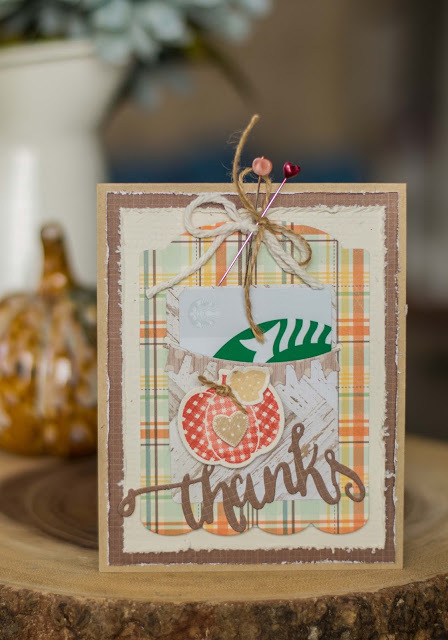 Meredith, so happy for your new spot and looking forward to seeing your work, love the distressed look of this card and that bg is gorgeous with the blueberries. I too love Adele rendition of this song. Tfs…. What a beautiful card! Love your blues!! Amazing job, your card is wonderful! Thanks for sharing.